I'm going to buy a new iMac early next year. But in the interim, I'd like to be running High Sierra. Now, a 2009-era iMac isn't going to be able to take advantage of everything High Sierra has to offer. 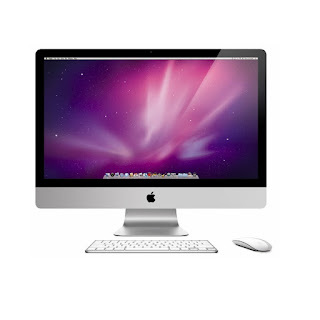 In fact, a late-2009 iMac is literally the oldest possible iMac that can be upgraded. We bumped up the internal RAM to the highest available spec (16 GB)... but frankly, my iMac hasn't been able to add features for a while now. It can't do AirPlay Mirroring. It has a standard HDD -- so it won't be able to run the new Apple File System. First and foremost, if the iMac moves to High Sierra, we can create a shared "family" iCloud account. That would allow us to back up the iMac photo album, all of our iPhones, and a couple of iPads -- all into a single 2 TB account under the family "organizer" email. We've never successfully made the switch from iPhoto to Photos. We have the Photos library, sure. But we still have dozens of iPhoto Events. And every time my wife wants to upload photos to a photo printer (i.e., Walgreens), she has to copy them to the desktop, and upload that copy. So.... our photos library is a mess. I'm buying a QNAP 4-bay NAS today, which will be the new home of our photo library.... accessible to all of our devices. And honestly - this will give us the opportunity to re-organize our photo library. I need to make sure everything is deduplicated, and located in Albums, instead of Events. Still - Photos adds some really useful editing tools... and will sync with our iPhoto library, too, so our photos will be safely backed up offsite AND available on all devices. We have a copy of Microsoft Office 2008 installed on our iMac. It's ancient, it's not supported by Microsoft anymore, and the rumor has it that it will NOT work in High Sierra. In fact, it wasn't supposed to work in Sierra, either. If we upgrade and all of our Office applications no longer work, Ms. AAAD will not be happy. I mean... we could still open those documents in Pages and Numbers... and maybe it's time to make that switch. I kind of feel like we should at this point. BUT... maybe it's time to acquire a more recent copy of Office! I'm going to give upgrading a shot. I'll make sure everything is backed up with Time Machine ahead of time... just in case. But the specter of losing Office 2008 is not enough to keep me from the benefits of Family iCloud. How did the update go? Do you still recommend it? Sorry for the long wait. The 2009 iMac upgraded to High Sierra with no issues. Including our copy of Office 2008, which required certain updates, but which continued to work as usual. Ultimately - this upgrade was an almost total non-event. Now, YMMV - our iMac has a lot of extra RAM, which may have made the upgrade run more smoothly than it would on a stock 2009 iMac.